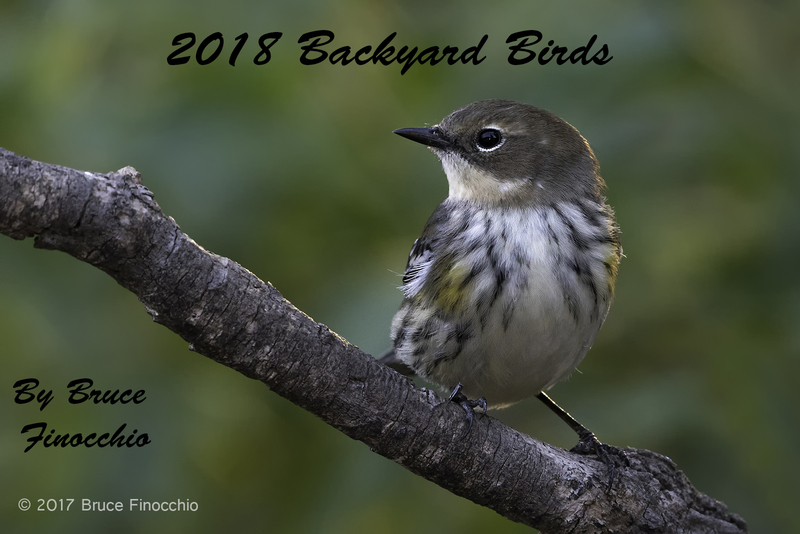 My backyard bird photography has been a very calming for me and has provided great solace as I have gone through a second difficult episode with my back. 2017 has been much better than 2016 and 2015, still every day I need to stretch multiple times, and soak in my gym’s Jacuzzi. I am looking forward to a healthy 2018, where I can photograph birds and wildlife all over the world, and share my love and passion for nature photography with as many people as possible. If you would like a calendar, you can use the PayPal link below to order one, or you email me (at bruce@dreamcatcherimages.net) and I can send one to you. They make great Christmas gifts. The price of the calendar is $25.00.